As digital entrepreneurs, we must make the most of our precious time by utilising the tools and services we have at our disposal. 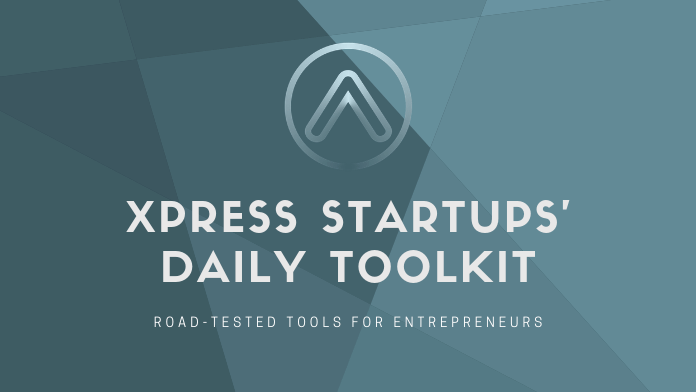 The trouble is, there are so many tools for entrepreneurs these days – it can be hard to know which ones are worth using. Luckily for you, we’ve road-tested hundreds of tools for creating, maintaining and marketing digital projects. Some tools were great, others are horrible. Read on to discover the tools we still use in our businesses everyday. Perhaps you’ve heard of Adobe Photoshop? Photoshop has been a household name in graphic design for many years now, and for good reason. Adobe has created a suite (now called Creative Suite) of graphic design tools that have become the industry standard. As a professional grade tool, Adobe CS is perfect for full time Graphic Designers – but what about us bootstrappers who just need a simple tool for creating beautiful graphics on the fly? There are plenty of free graphic design tools to get you started, and some affordable options for when you want to take it to the next level. Time poor, or can’t quite create the graphics you want? Hiring a professional to create your designs might be cheaper than you expect. There are many options for outsourcing your graphic design tasks, some easier to navigate than others. Some are worth avoiding all together. Outsourcing your graphic design can be a massive time saver in your business. Approach it wrong however, and it can cause a lot of headaches. See how to outsource your graphic design projects without blowing your budget (or pulling your hair out). A domain name is one of the most fundamental aspects of any online project. It’s like a street address in the big wide world of the internet. This is where and how people find you. Think of this as a clear patch of land, waiting for your creative and entrepreneurial mind to turn it into something spectacular. If you’re anything like me, you’ll accumulate these web properties pretty quickly. So you’ll want to make sure that you’re with the right registrar, for the right reasons. Get the full rundown on domain registrars over here. At some point in your entrepreneurial journey, you will need to either buy or sell a web asset. Whether that be a website, a domain, an app, a private blog network, a plugin, a chrome extension… whatever. If you’re movin’ n’ shakin’ – you’re buyin’ and sellin’. Even if you’re not in a position to be buying or selling web assets, it’s a good idea to get familiar with the market and start developing your own intuition for valuing these properties. This is a big topic, lots of stuff to talk about… so I’ll need to split it up and cover these over a few posts. In the meantime, check out some of the website/domain marketplaces I frequent for buying and selling online real estate. There are ways to make money from parking domains, and I’m sure some people know how to make a living from it. But I certainly don’t, and I don’t plan for it to become my living either. However, domain parking has its place. Especially if you are buying expired domains that you don’t plan to develop immediately. While the domain is “parked”, we can see how many visitors the domain receives each day, what country the visitor is from, and how they arrived at the site. Very valuable information when deciding when and how to develop a domain. No matter your skill level, anyone can get started with domain parking. Sign up for a free parking service like the one I use, or learn how to create your own with a few simple steps in our complete guide to domain parking. One strategy that I have been getting excellent results with lately, is buying expired domains. Not without its quirks, buying an expired domain is kind of like buying secondhand goods. If you know what you’re looking at, you can spot a bargain a mile away. If you’re new to the game however, it can be easy to end up with a bunch of junk domains that you can’t do much with. Where there’s risk, there’s reward. Check out our quick start guide for buying expired domains over here. Probably one of the most overlooked aspects of an online enterprise, having a professional email address is one of the easiest ways to make a one-man-show look like a full-blown multinational in no time. There are a few options available for hosting your emails, but one in particular is cheaper, faster and easier to manage than any other option I have tested. On top of that, this service includes a whole bunch of helpful tools for your online business, including a way to create a simple website at no extra cost. Sound too good to be true? Check it out for yourself. We’ll show you how you can get started today with your own professional email system.